We're are continually working to create more delicious, more nutritious food for our community. Awaken provided all riders with our raw superfood bars at the Coppermine 2017. A great sunny day in Nelson with another outstanding quality field of riders competing. Finn Richardson shredding on his mountain bike. Finn is working towards a sports Tasman qualification in mountain bike coaching. As you can see the jumps are full of energy, exactly what the Awaken bars provide! 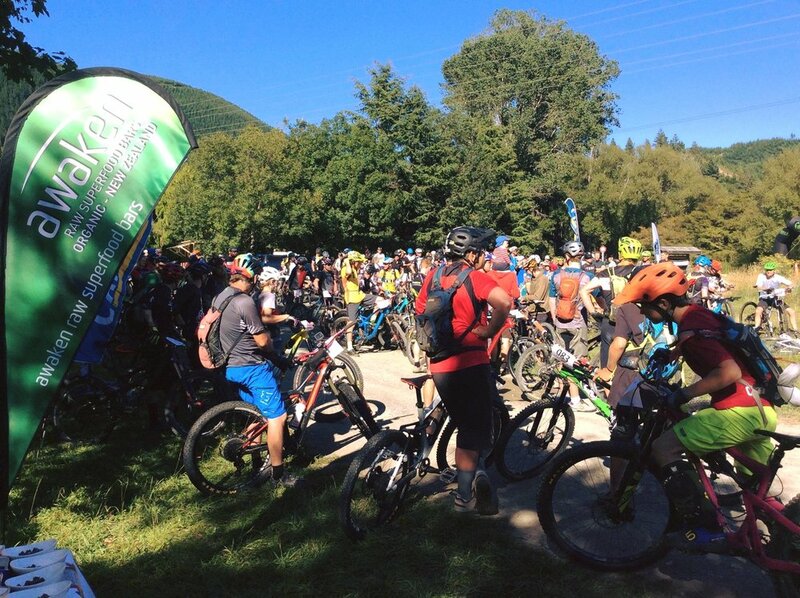 Mamoth Mountain biking race - AWAKEN sponsored each rider with one of our bars. Anja McDonald came in second in the women's open category!